Your money goes a long way in Poland. Comfortable 5 bedroom holiday home on the edge of a small spa and ski town in between Cracow and Zakopane in the hills of southern Poland. Beautiful views. Good base for visiting Cracow, Zakopane and national parks. The house sleeps 6 to 10 people in a double or twin bedrooms.�2 bathrooms - one of which has a jacuzzi bath,� 2 en-suite shower rooms plus 2 extra WCs. Balconies to most rooms. Walled garden, garage. BBQ. Wi-Fi internet access. Summer sports include fantastic hill walking and climbing, Aquapark, winter sports cheap skiing, snowboarding and ice skating locally. Peaceful location. Cheap 2 hour flights from Uk and Ireland to Krakow with many airlines. The Polish zloty means that Poland is still a reasonably priced European destination. Enjoy gourmet meals, beauty treatments, fabulous scenery and sightseeing. Hen parties welcome. The house is currently available for skiing and snowboarding until the end of March. Horse drawn sleighs for children. Fabulous Yorkshire is a heavenly holiday destination for dog owners. Nowhere else in England offers such an expanse of open countryside and good places for dog walking. Rent a self-catering cottage in South, East, West or North Yorkshire as a 'home from home' for a week or two and have the best time of your life with family and dogs. 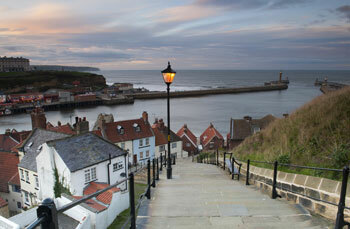 Anyone who has ever visited Yorkshire will know that there is a fantastic new view around each corner. Go walking in the lovely Yorkshire Dales, a pleasantly green rural area dotted with sheep and farms. Game birds thrive in the long grass and heather and Mother Nature has created wondrous shapes out of the limestone rocks. Dogs welcome self-catering provides more than just a good clean place to stay. There will be space for your dog and everyone involved with looking after the cottages will be keen on dogs and make a fuss of them. Taking the dogs on holiday solves many of the immediate issues regarding their welfare. There are some cottages to rent with kennels but very few in limited locations. You may wish to take a look at cottages with kennels and other facilities just in case. Once you have decided on which cottage in Yorkshire you might like to rent, explore the great outdoors, go mountain biking in tranquil backwaters, walk along the coast and visit lovely seaside towns such as Whitby (shown on right). Cottage breaks in Yorkshire are very popular with dog owners. It's not only the countryside that is a big attraction but also the historic cities of York, Leeds and Harrogate. Find that perfect holiday cottage where your dog will be made a fuss of and settle in for a few days of good outdoor fun in the north of England. Dog friendly self-catering accommodation often has throws on sofas to protect the furniture and dogs really don't mind as long as they stay with their owners. Floors would be easily washable because of the muddy paw prints. There should be a dog bowl provided and sometimes a dog bed although you may prefer to bring your own. Cottage owners really want their guests to have a lovely time so that they rebook for the following year. Expect lots of tourist information about places to visit in Yorkshire, good eateries, the best walks with your dogs. Come to Yorkshire for your summer break - you won't regret it and your dog will be grateful.